Mr W is my soul mate. We are very similar. We both love to travel of course, we are both intelligent, well I like to think so, and we both enjoy comedy, bacon sandwiches, cake and watching films. Important things, not religion and politics – yes I jest! As travel bloggers, we also spend a considerable amount of time together travelling the world. We’ve always got on extremely well although we have had our ups and downs like every couple. He’s my favourite travel companion. When we book our holidays we look for certain things, generally great sightseeing, interesting places to explore, scenic vistas, enthralling museums and culture, amazing architecture, and great food. Stir and you have the perfect holiday recipe for us. This year we are making a mission of slowing down and really enjoying our surroundings rather than going on a mad dash around a country. The term ‘slow travel’ and the ‘slow travel movement’ sums up what we are trying to do, and focuses on discovering a destination, often on foot or bike, immersing yourself in the everyday life and purposely exploring and enjoying localities and the culture. So when Inntravel invited me to take part in their new campaign I thought this was the perfect fit for our blog. Inntravel are the slow travel people and since becoming established in 1984 they have won numerous awards for the quality of their holidays, including a Which magazine award for recommended holiday provider in 2016. This #LoveShortBreaks campaign with Inntravel is based around your favourite travel companion and what trip you would surprise them with to show them you care. Inntravel have some new short breaks which look great for a relaxing holiday with a loved one. I’ve been looking to book a holiday as a surprise for Mr W’s birthday. It’s one of those big birthdays that you wish you would forget… I have a few ideas in mind including discovering Lisbon, Porto and the Douro valley and a walking holiday to Salzburg and Konigsee. On balance, a trip to Salzburg in Austria and Königssee in Bavaria would be a great trip for us. We’ve been to this area of Austria before some years ago with our son but would love to explore just ourselves. 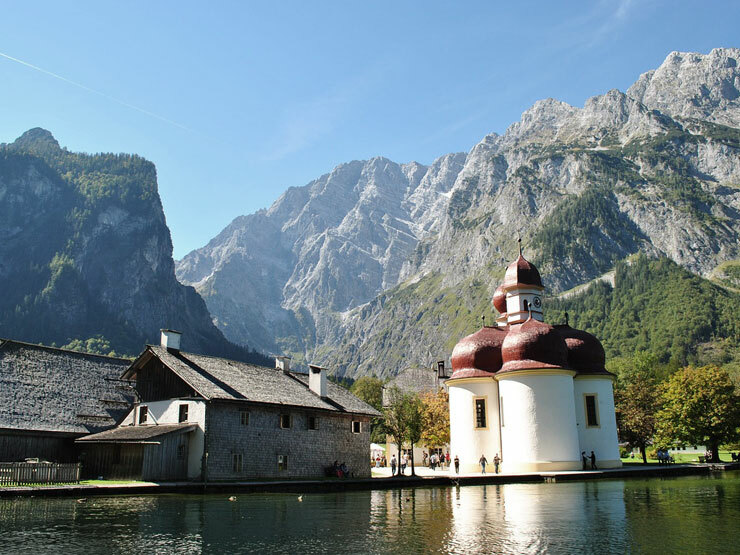 The self-guided short break appeals as it’s a combination of a cultural city break in Salzburg with some moderate walking through the beautiful lake and mountain areas in Bavaria. The contrast of the musical city with the serene landscapes would make a short break to remember forever and a perfect romantic break. Salzburg is an amazing city. The Old Town is full of beautiful baroque architecture expertly preserved and it was listed as a UNESCO World Heritage Site in 1997. The birthplace of Mozart the cultural attractions cannot be ignored. 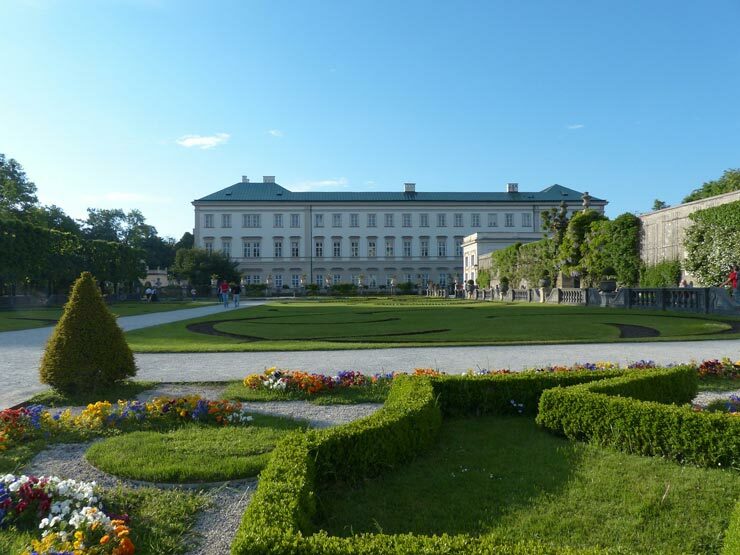 I remember visiting the Mirabell Gardens where the song Do Re Mi was filmed from the Sound Of Music, one of my favourite films. To spend more time here truly exploring the gardens and the palace would be a dream. With Inntravel they rate the holidays on the level of walking difficulty and this holiday is graded 2 as moderate walking. 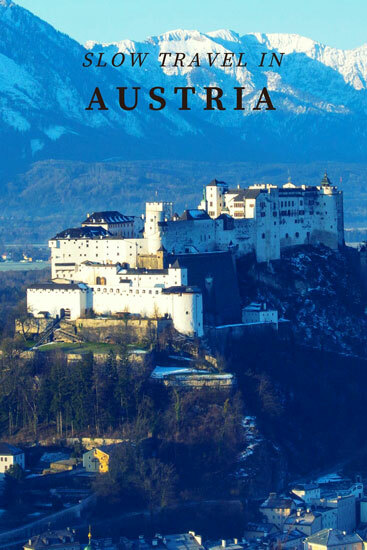 They provide detailed notes on the architectural and historical highlights of Salzburg as well. 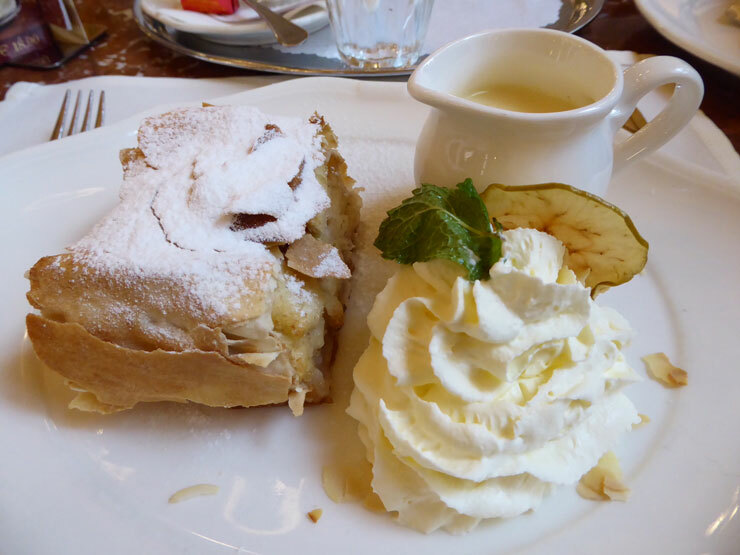 One of their recommendations is to stop for coffee and kuchen (cake) at a Viennese-style coffee house. We recently visited Vienna and really enjoyed the beautiful grand coffee houses there so this is one recommendation we will certainly take up! After Salzburg, you are taken through the alps in a taxi, with plenty of time to admire the view of the Schönau am Königssee area. Mr W will really appreciate not having to drive to really take in his surroundings. This area is ideal for walkers and those that love stunning natural beauty. A ticket to sail the beautiful fjord-like Königssee is included. 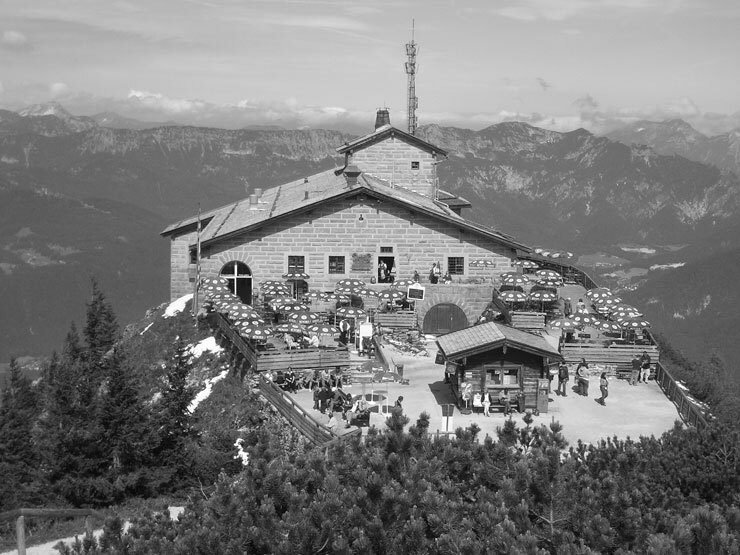 Those that like history will also not pass up the chance to visit Kehlsteinhaus, or Eagle’s Nest, Hilter’s former tea room, that offers amazing views over Berchtesgaden National Park to the Alps. 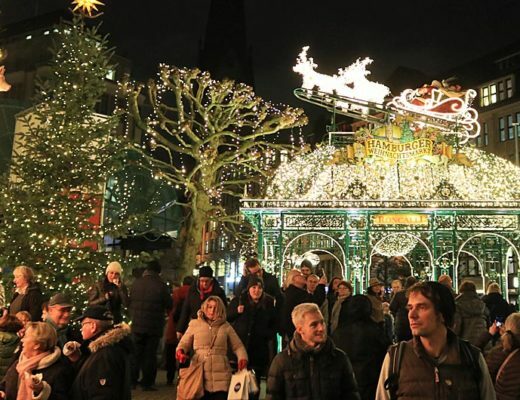 Whilst here enjoy coffee and cake or a indulge in the German national drink of beer. Cheers! If you are tired of walking a trip on the bus can take you to Berchtesgaden for the local farmers market and Salzbergwerk Berchtesgaden to visit the salt mines. If you fancy visiting Bad Reichenhall, Bavaria’s spa town, that is a short trip away too. I didn’t have the chance to visit Bad Reichenhall before so would really appreciate visiting this town and relaxing in one of the spas. If you like the sound of this break or want to find out about the short breaks Inntravel run then check out their website and discover the slow way of life. This sounds lovely, I keep meaning to try out Inn Travel (I was a travel agent for quite a while so I am familiar with their type of holiday). I’d love to take my kids to Salzburg, the architecture and surrounding scenery is lovely from what I remember from my last trip there although the areas of Portugal you mentioned would also be great fun, a tricky choice! Salzburg is a gorgeous city Annabel, I hope you get the chance to go back with your kids. We hope to go to Portugal very soon. It looks and sounds beautiful. It isn’t somewhere I’ve thought of going before but it’s on my list now. I hope you get the chance to go one day Cecilia. Watch the Sound Of Music to get you in the mood! Ahhh I love Austria! Especially Vienna! 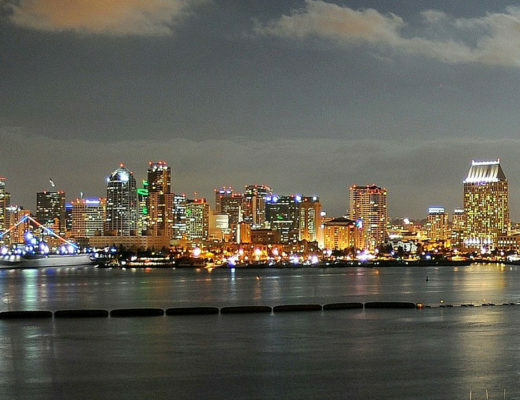 It’s so beautiful there! Is Austria introvert friendly. I am planning a Euro trip and I am researching on countries that off the tourist trail. This place looks perfect for me with the beautiful landscape. 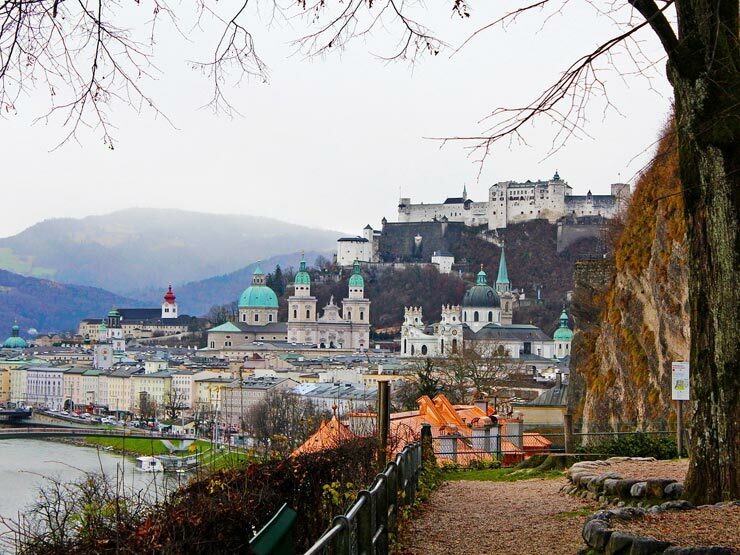 It will be up to you, there are beautiful cities such as Salzburg or you could wander through the peaceful mountain villages and stunning alpine scenery. What a great article. I’ve travelled a bit in Austria and love the mix of mountainous landscapes and vibrant city life. Slow travel is my preferred method of travel too. Thanks Mike, much appreciated! I (Mrs W) adore the beautiful scenery of Austria and to mix this with a city break in Austria makes the perfect holiday for me. Sounds like a great way to explore. Austria is stunning isn’t it! It is Fiona, we loved Vienna so much too. 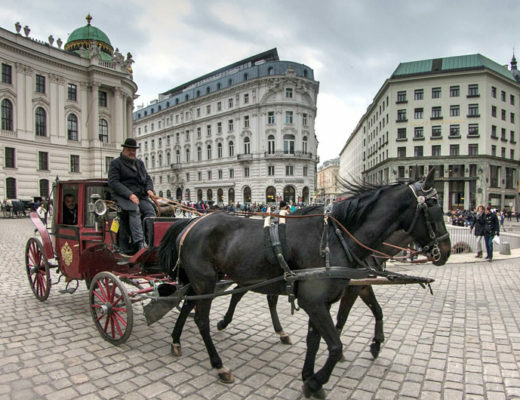 Austria is such a wonderful destination Vienna and Salzburg are must-dos. I’ve heard people say Salzburg is too touristy, but I wouldn’t recommend anyone to skip it. I find it funny when people say an area is too touristy. Surely as a tourist and going to the place for the first time you want to see these spots. Maybe if you return you want to explore other areas, but there is nothing wrong with going to popular tourist spots. Sounds like a great trip with lots planned to really dig in to see and experience everything. 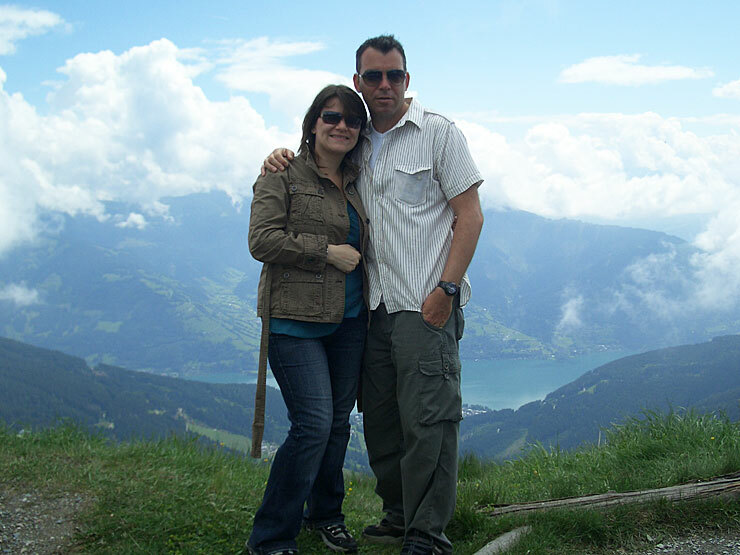 Austria is such a beautiful country – we lived in Solden in the Tyrol Alps for a few months a couple years back and love the laid back mountain life and the ability to get to a big city when we wanted/needed to. I am quite envious that you lived in such a beautiful place Vicki Louise. Oh the Königssee is beautiful , we spent a week there, it was magical for sure! Love that you and your hubby have so much fun together! Well we do try Stacey and yes the Königssee is so beautiful. I’d like to do slow travel through Austria as well. We never had enough time off work to do slow travel the way we always wanted to, but now that we live in London, we can take more time to see the smaller towns and enjoy everything a little more slowly. No more rushing from place to place! Stunning! Austria is wanderer-friendly, the best way to explore a place. The postcard views are really something.